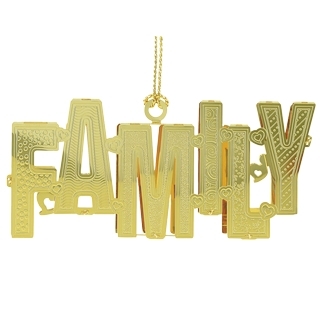 The brass Christmas ornament spells out the word 'Family' and is hand painted and finished in 24kt gold. Add this bright handcrafted ornament to your tree or to your table decoration or to your Christmas wreath. It will be enjoyed by your family for many years.